This is more than just a collection of recipes, it is a guide to becoming aware, or more so, of the tremendous and bountiful resources just beyond the door and how to exploit them for your nutritional needs. With over 70 recipes from main meals to making substitute milk this book has a lot of tips, recommendations, illustrations and pictures to begin, or further yourself in, being more self-sufficient. Getting to know what and how to prepare food sources in your area is a very diverse and huge subject matter that should be studied and practiced extensively which Backyard Cuisine will provide an excellent start. 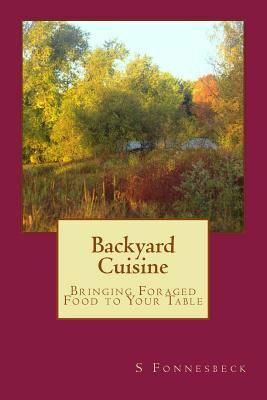 References have been included in this book providing a wealth of information on foraging, cooking and numerous other useful knowledge for dealing with a basic survival need...eating! "Give a man a fish you feed him for a day. Teach a man how to fish and he is fed for a lifetime." From an ancient Chinese proverb "A man who knows how to fish can teach a community to feed themselves." My addendum to the Chinese proverb.